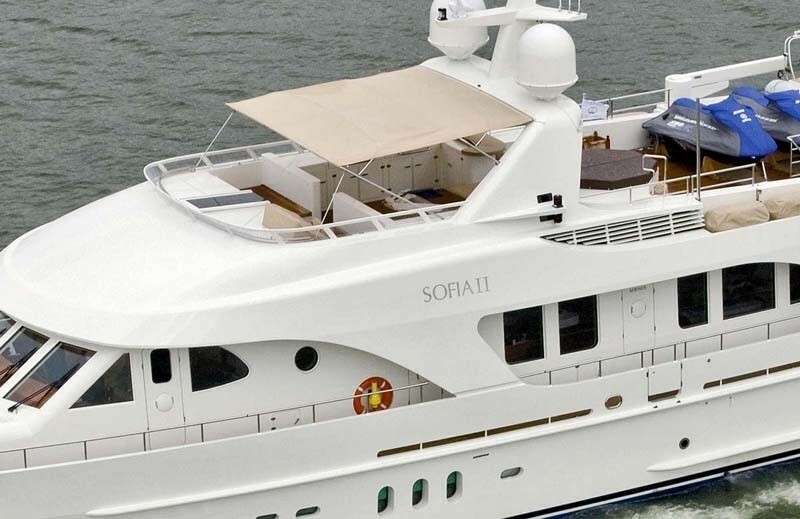 Launched in 2008, the 30 m luxury motor yacht Sofia II is a beautiful Moonen 97 vessel, constructed by the respected Dutch builder, Moonen Shipyards. 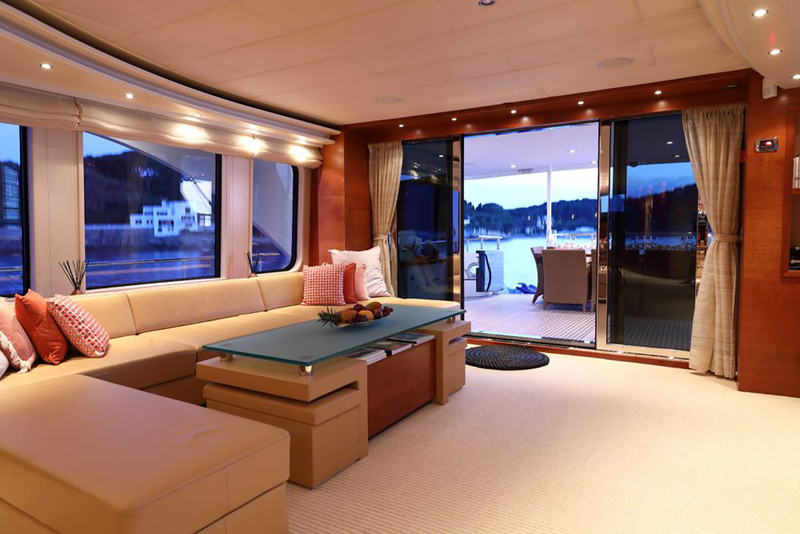 With naval architecture by Diana Yacht Design, the Moonen 97 superyacht Sofia II features exterior design by Rene van der Velden, while her interior design is by Art-Line. 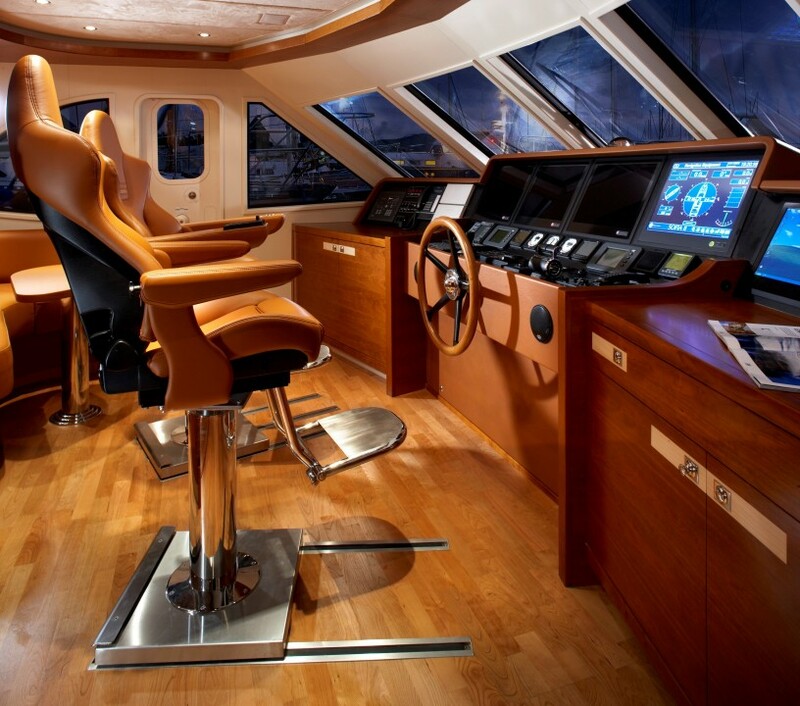 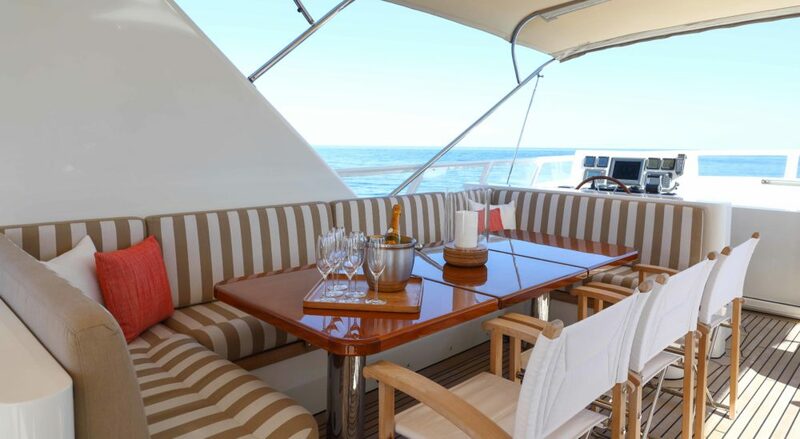 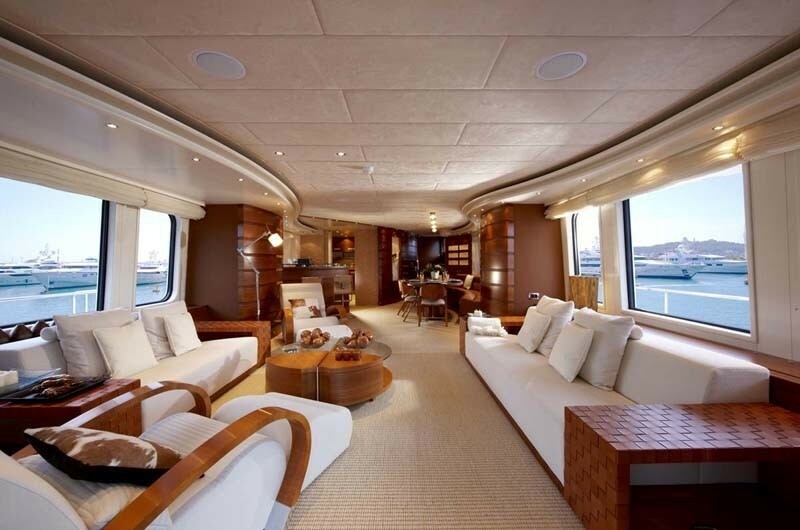 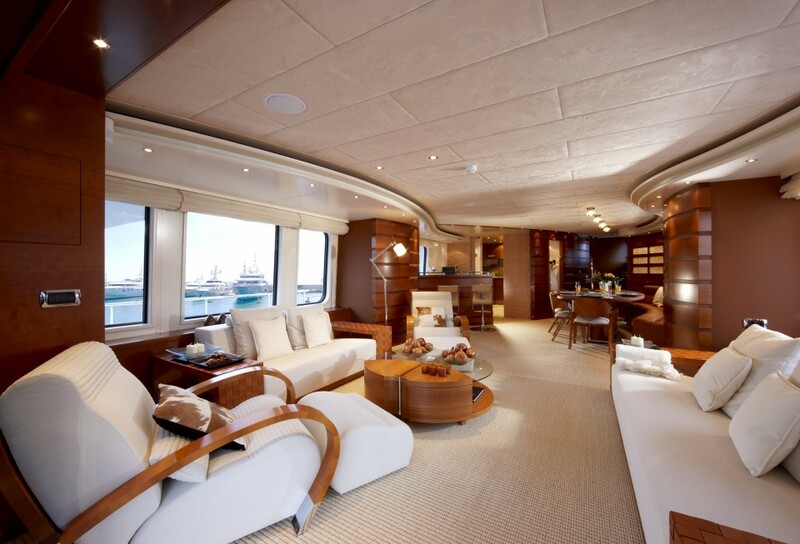 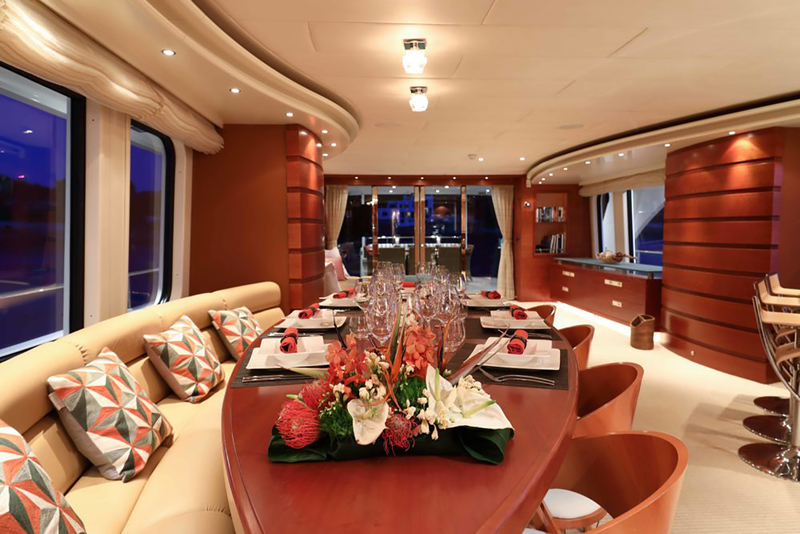 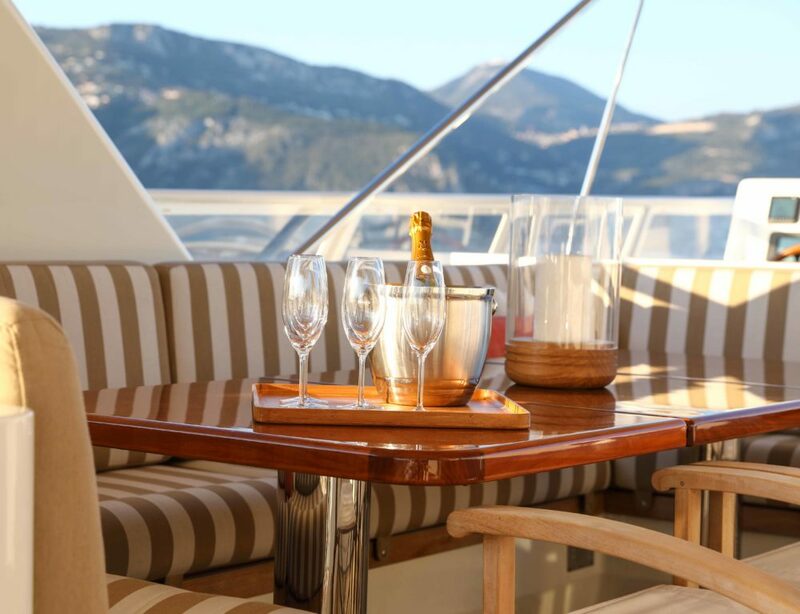 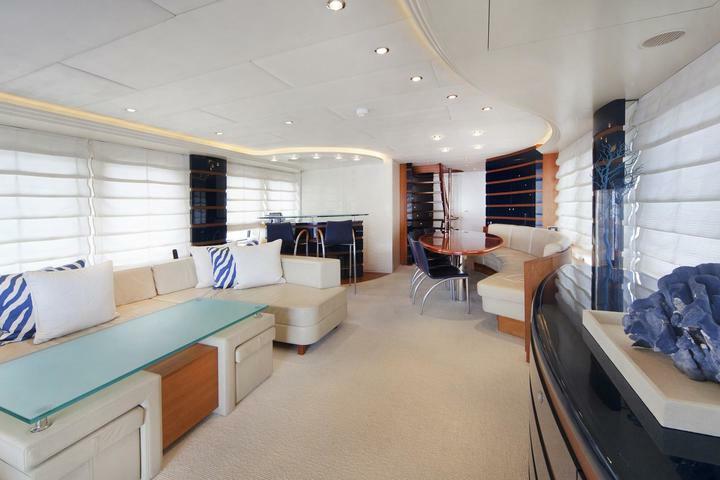 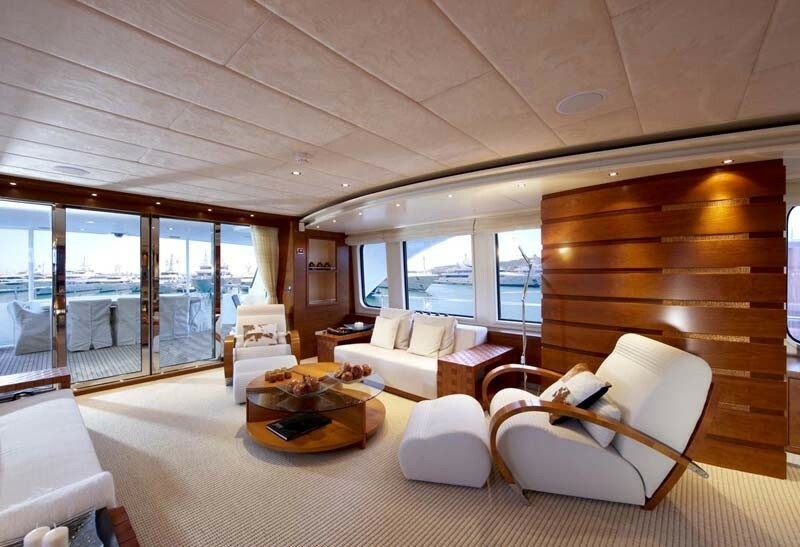 On the main deck area there is a spacious salon with a lounge and dining areas. 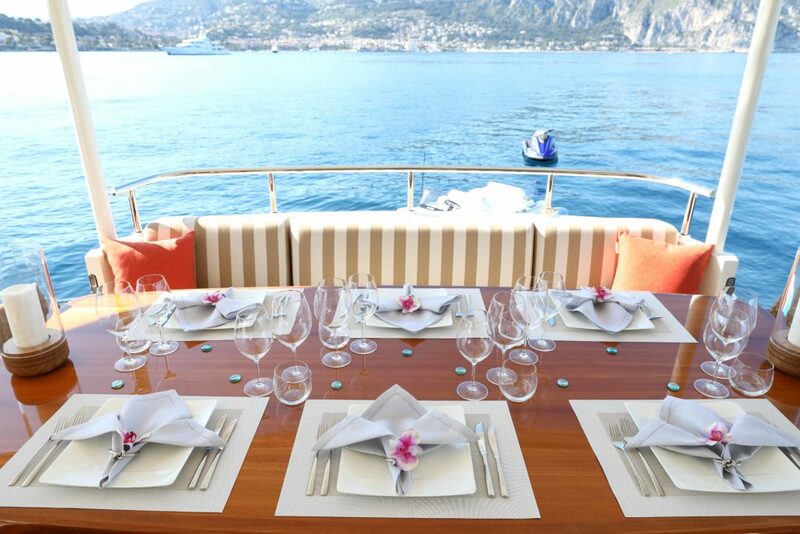 The dining area seats 10 guests in luxuious envitonment. 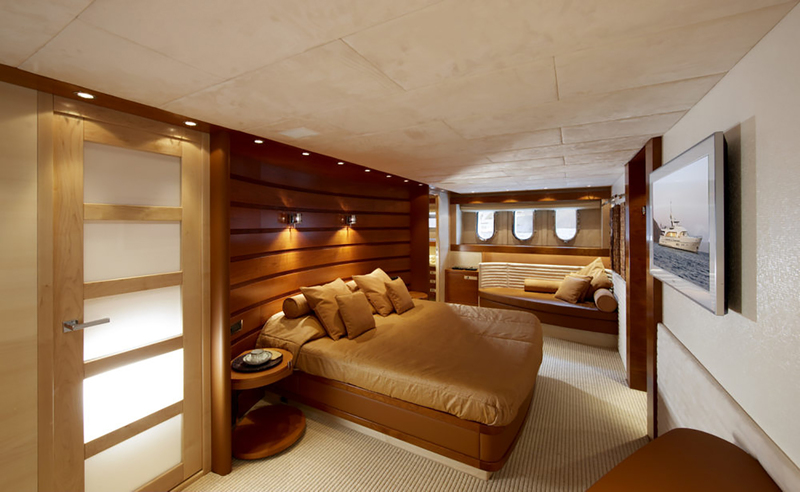 The lower deck hosts all guest cabins, including a full-beam master suite. 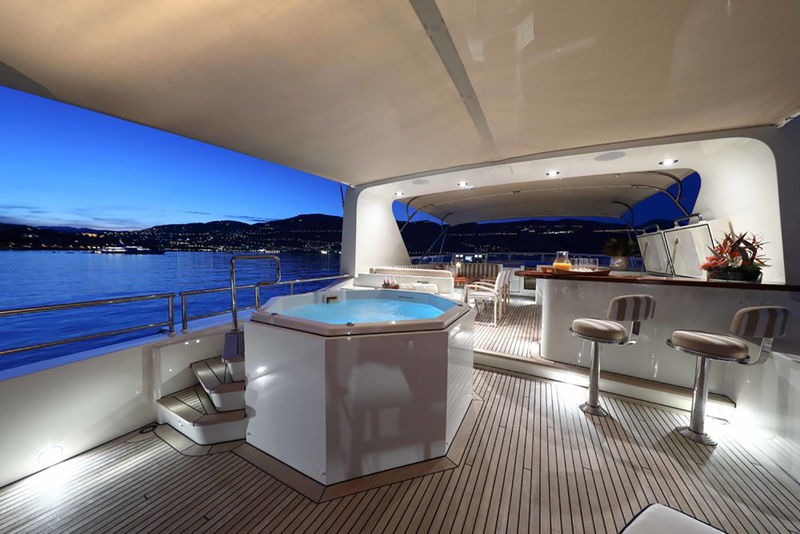 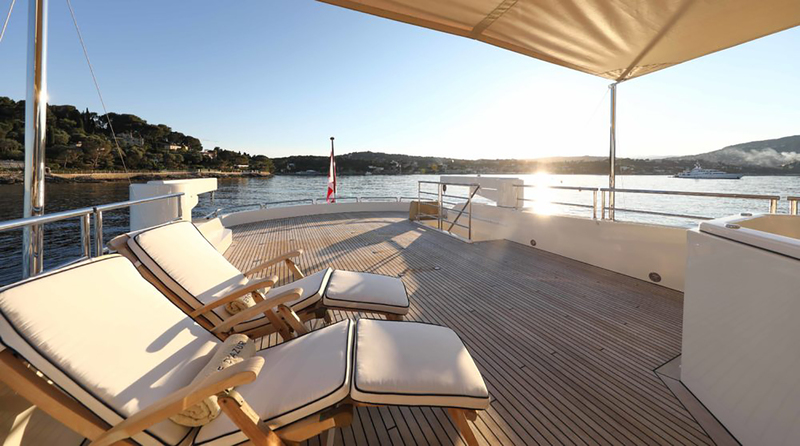 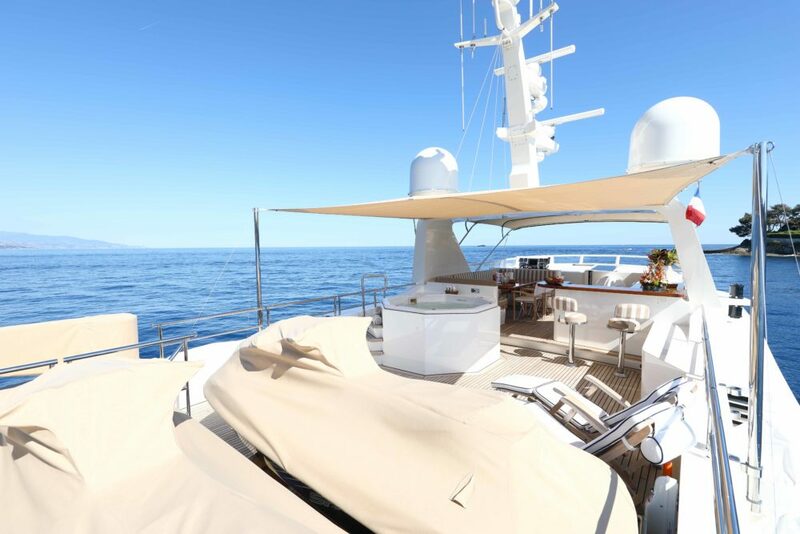 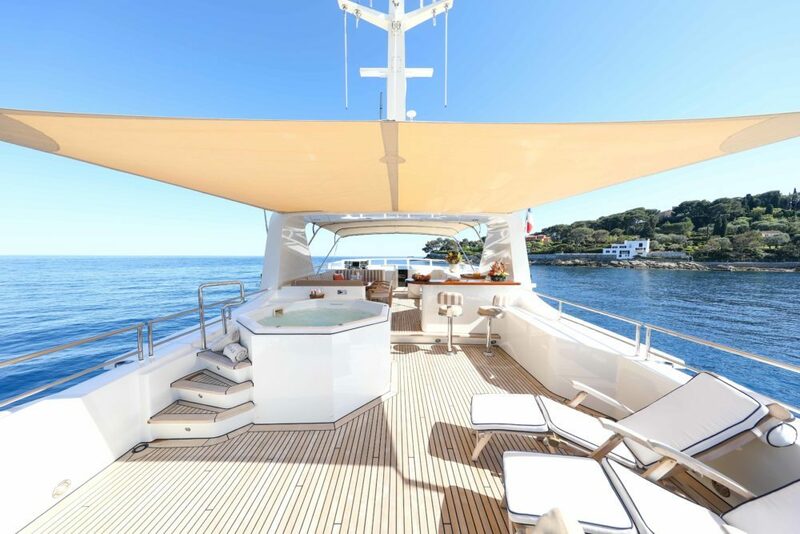 Boasting a lovely steel hull and aluminium superstructure, the 30-metre luxury yacht Sofia II is run by twin Caterpillar C18 DITA diesels that enable her to achieve a comfortable maximum speed of 13 knots. 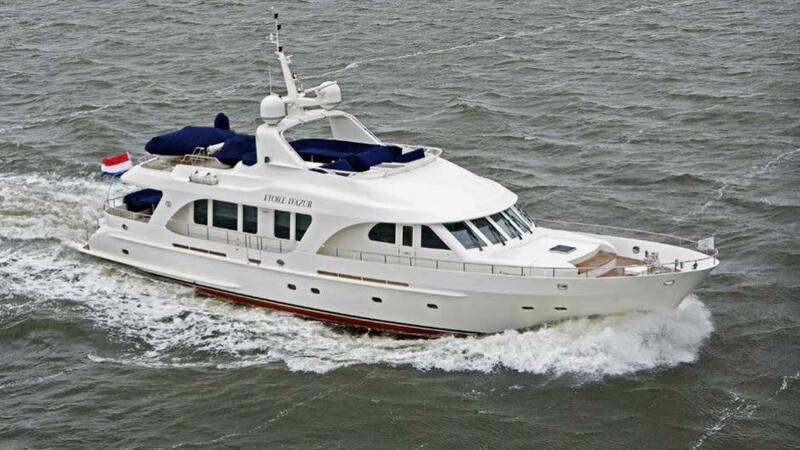 She can easily cruise at 12 knots. 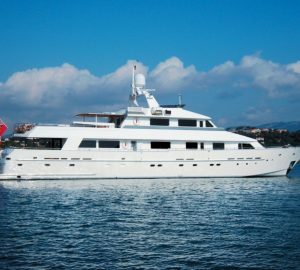 Lloyds Registered as well as MCA classed, Sofia II has a beam of 7,3m (23'95'') and a maximum draft of 2,18m (7'15''). 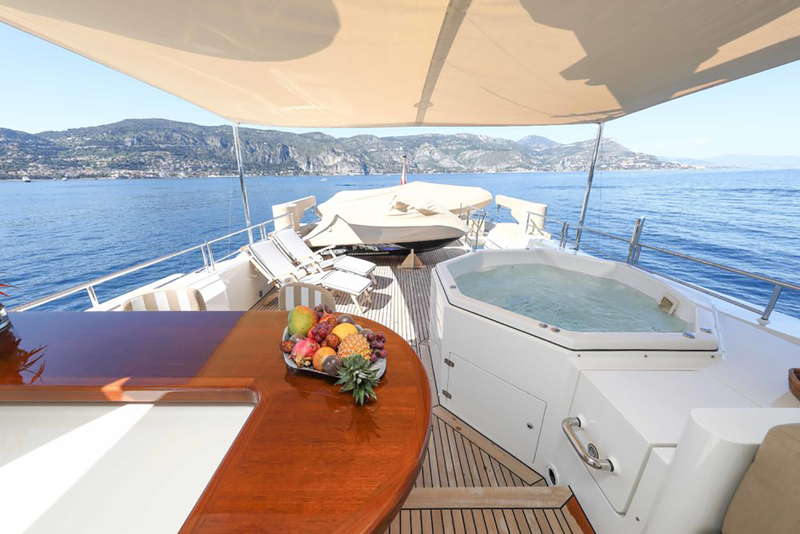 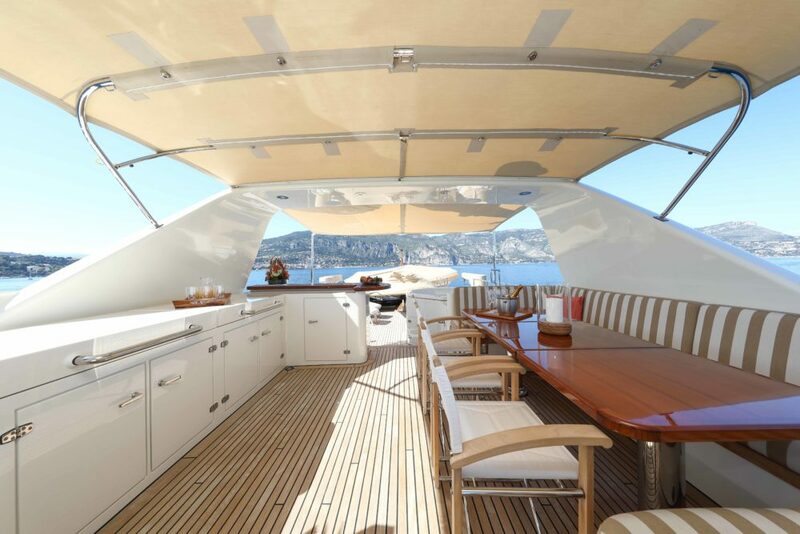 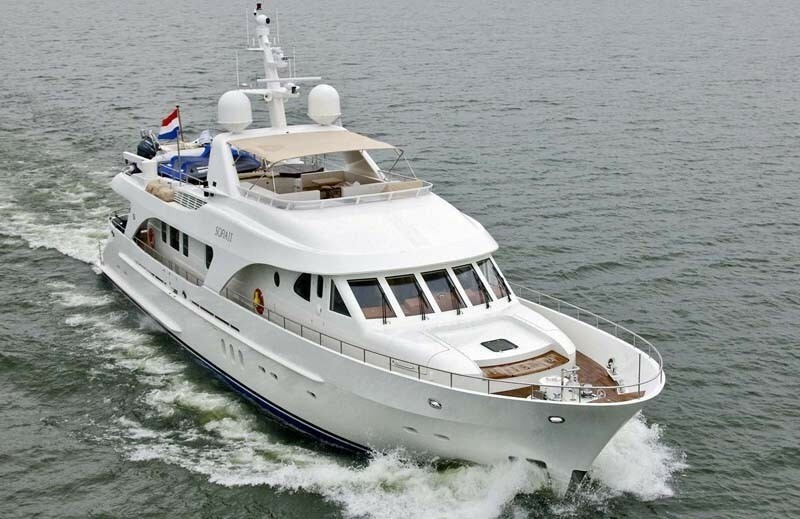 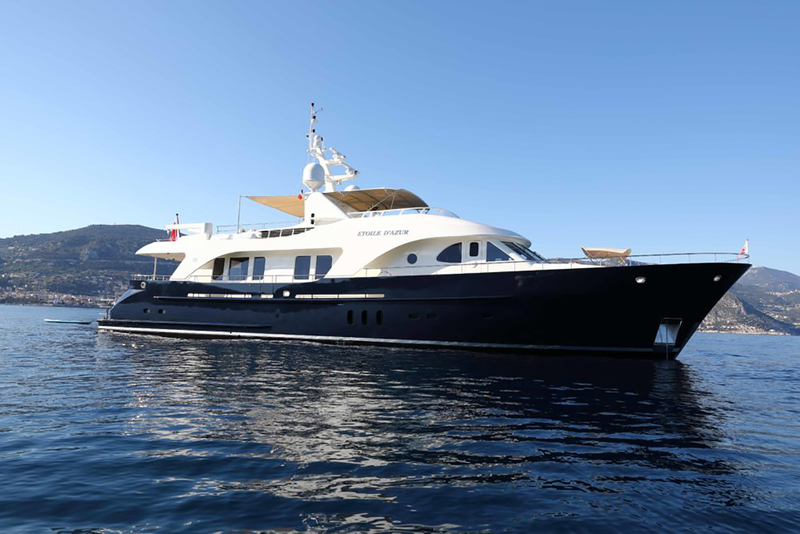 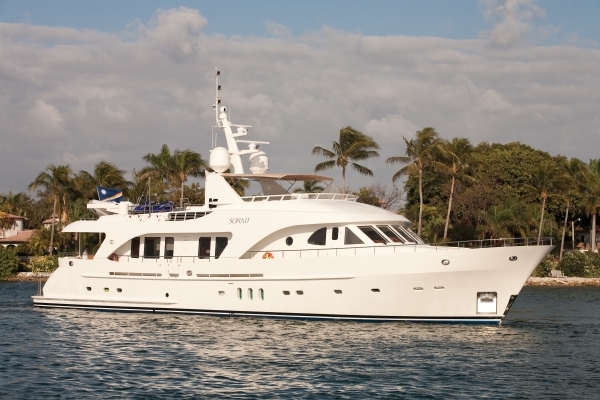 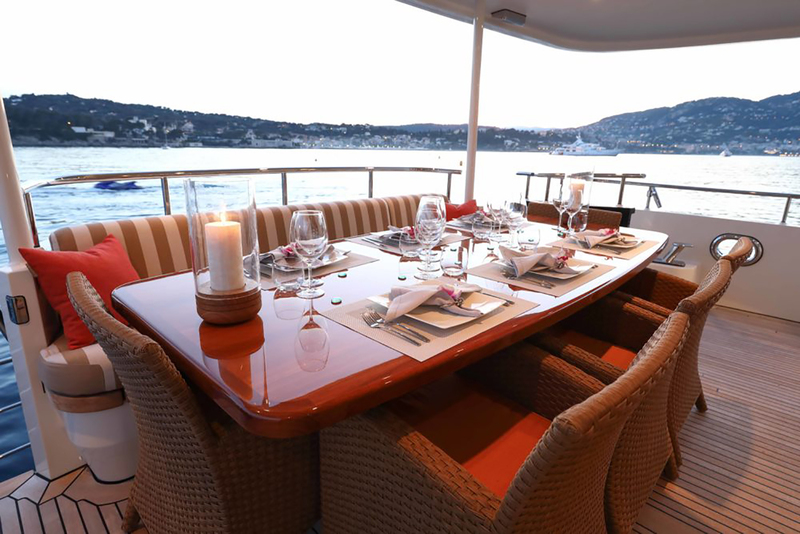 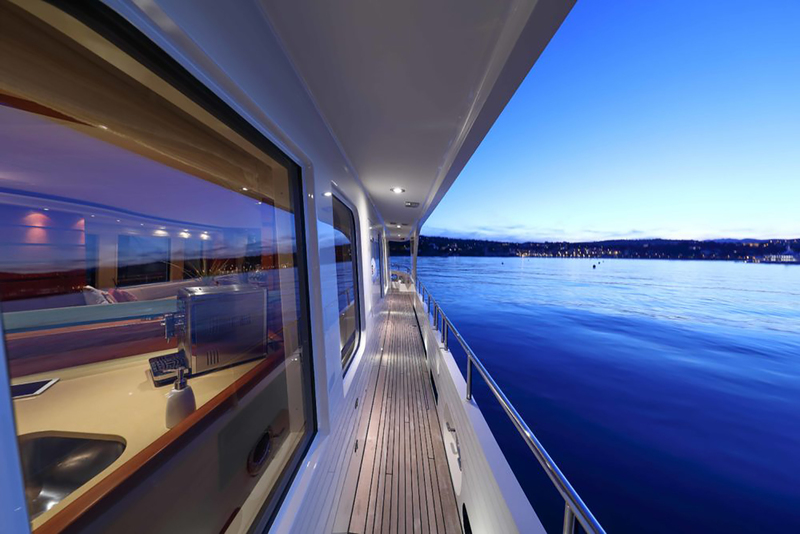 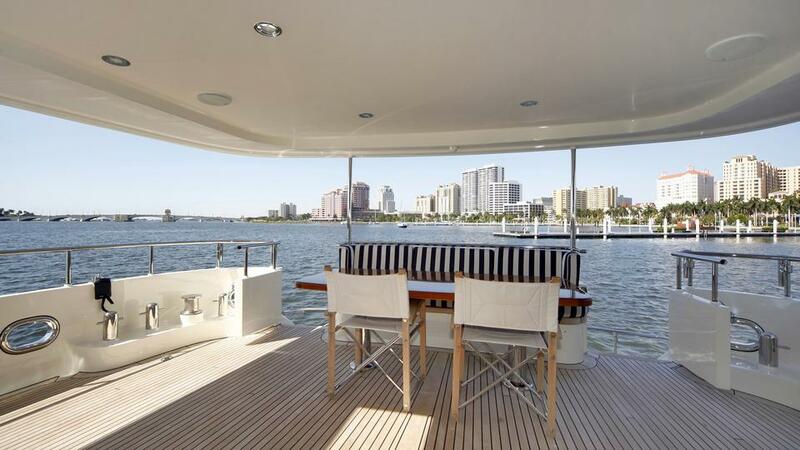 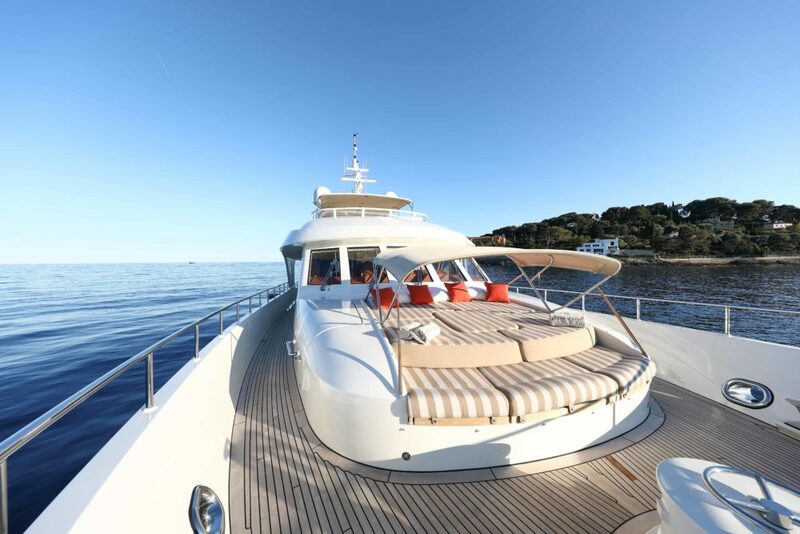 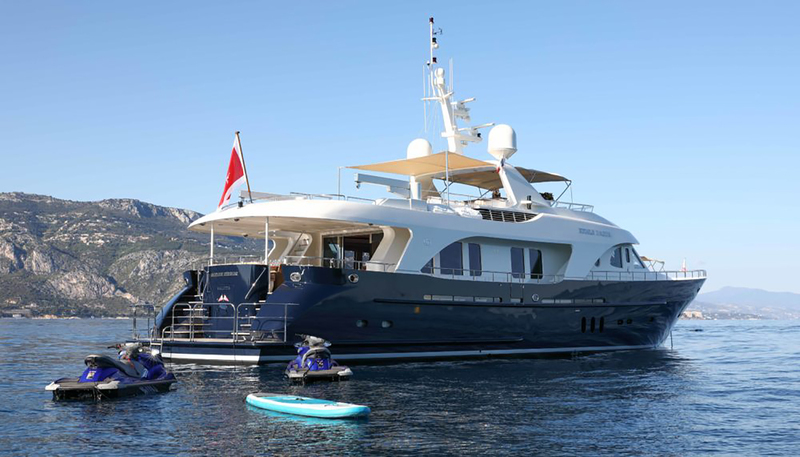 Moonen 97 superyacht Sofia II provides up to 8 guests with 4 lovely cabins. 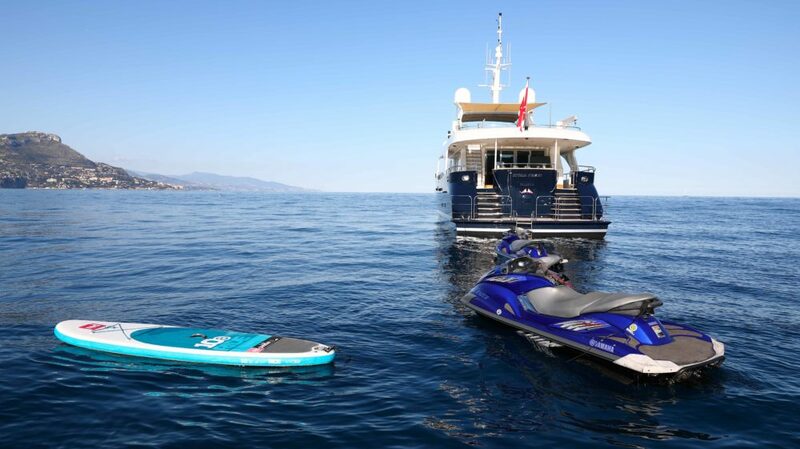 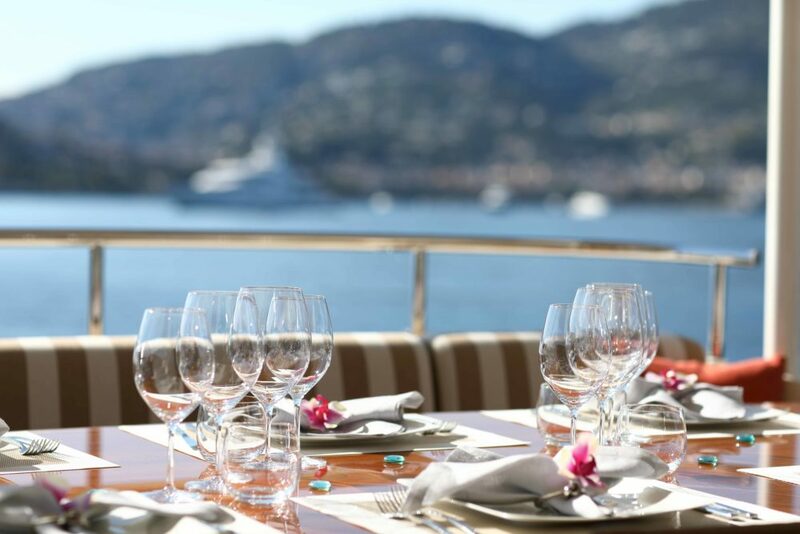 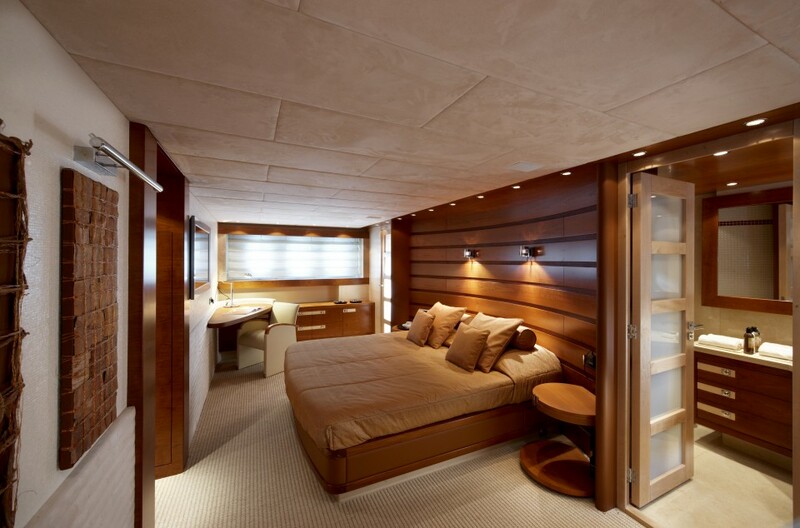 There is a large Owner's cabin, a magnificent VIP cabin, as well as two twin cabins. 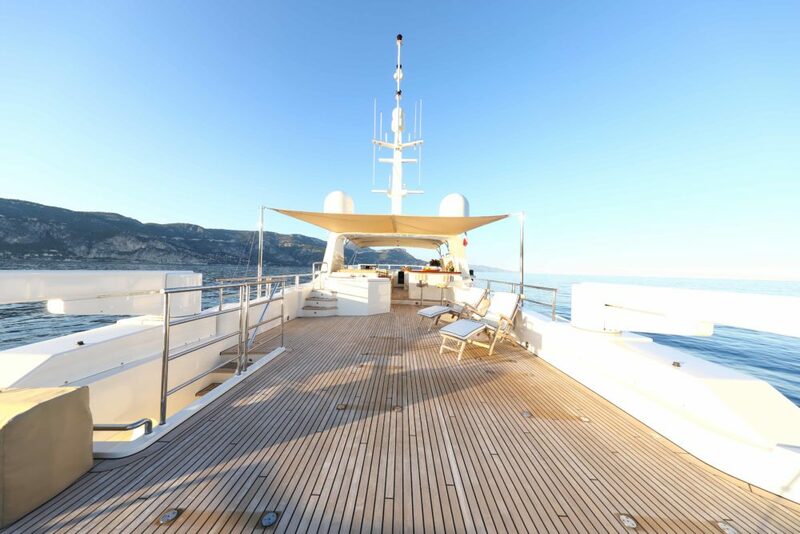 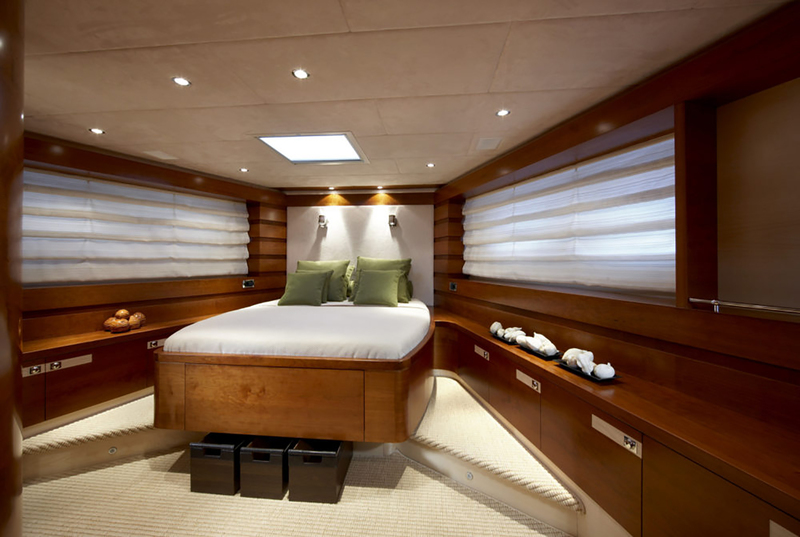 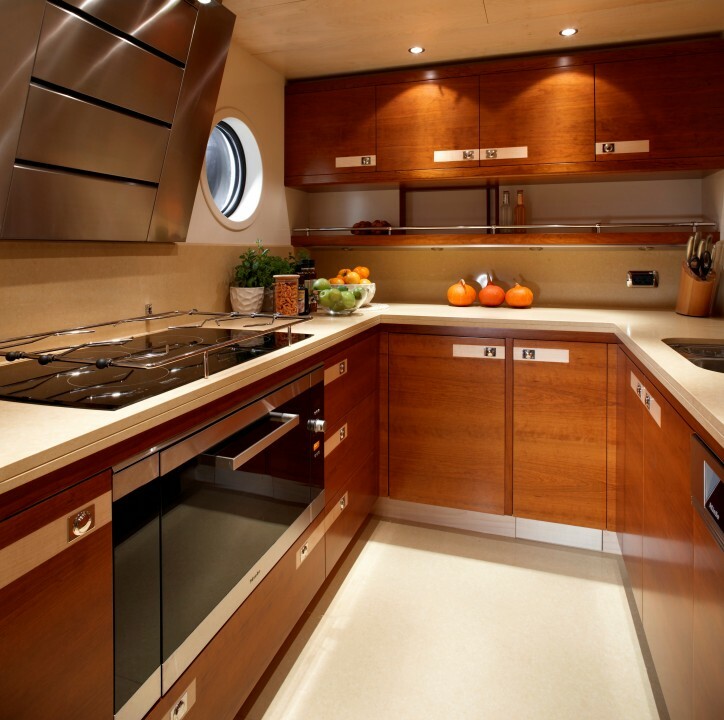 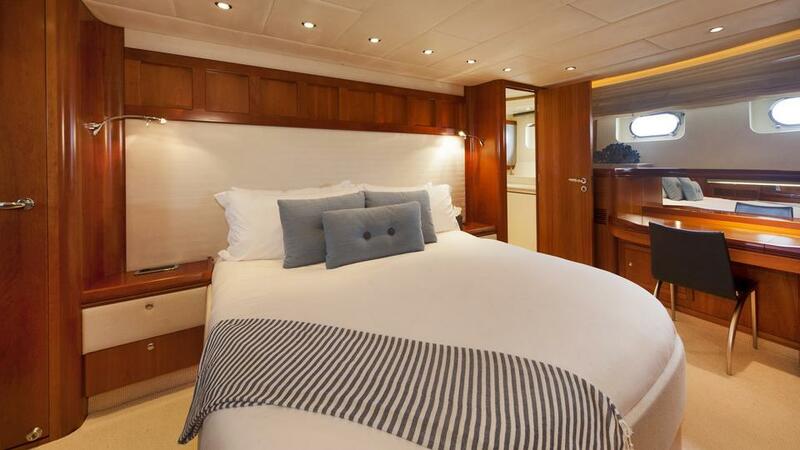 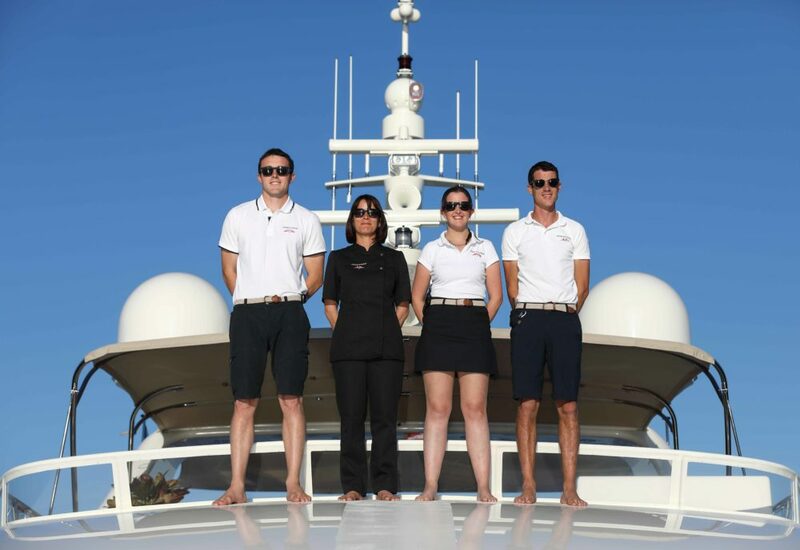 The vessel's highly trained crew of 3 sleep in one Captain's cabin and one crew cabin. 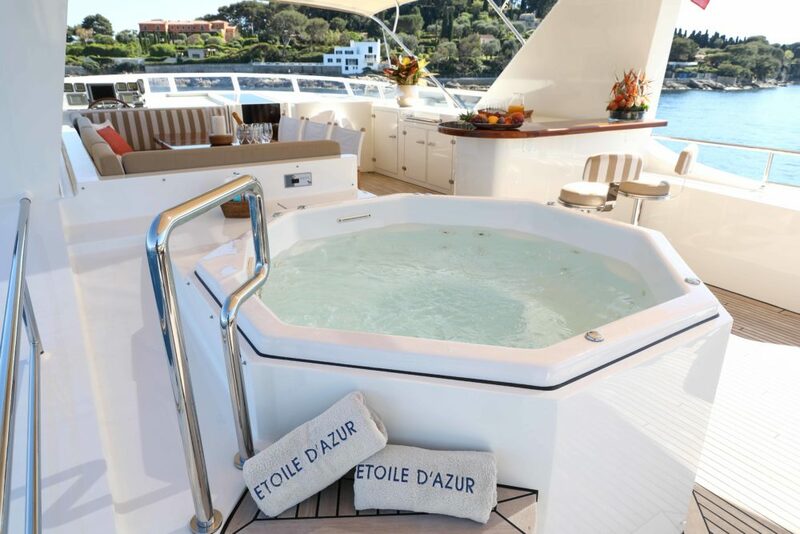 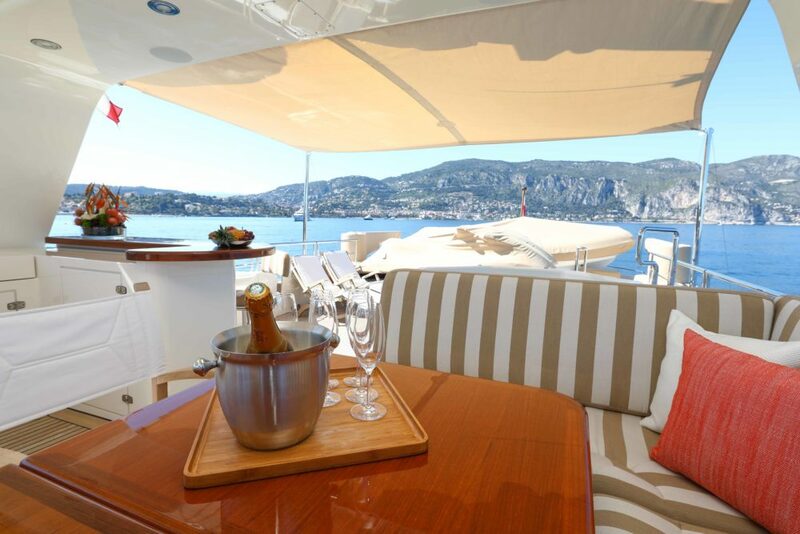 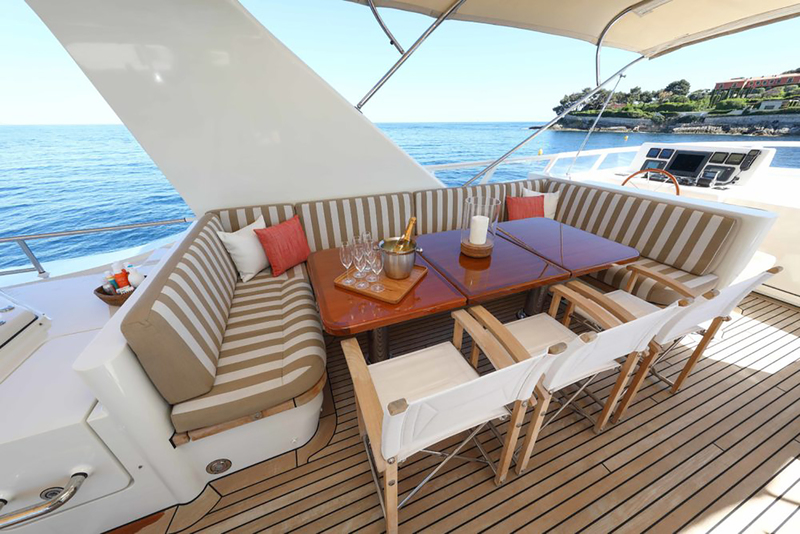 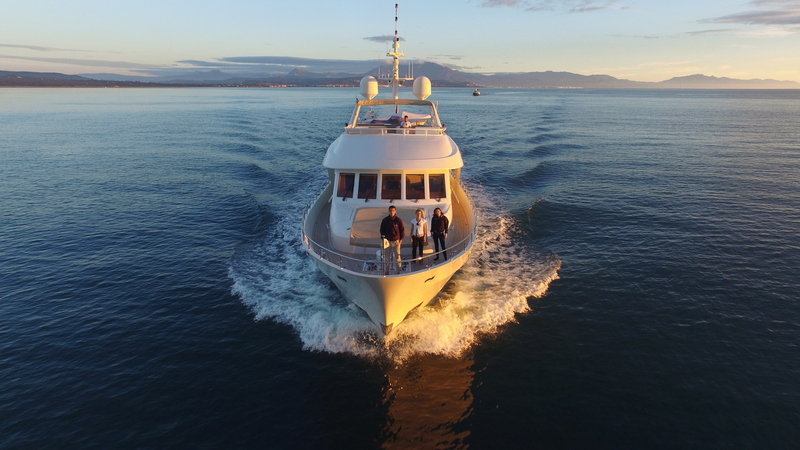 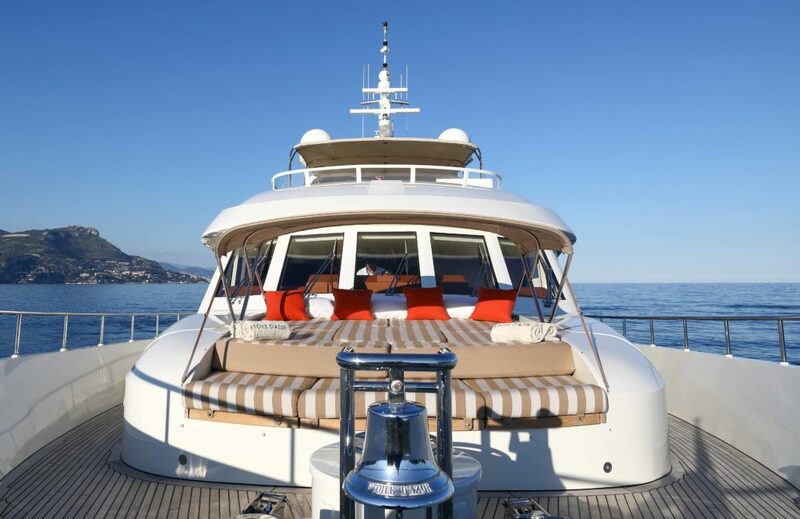 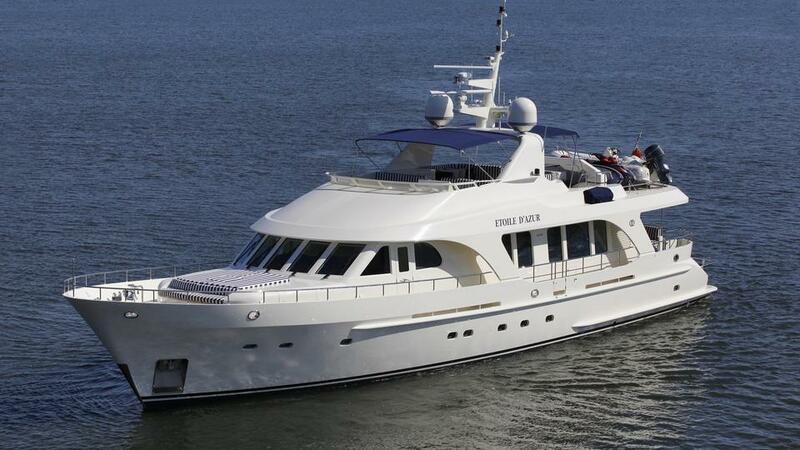 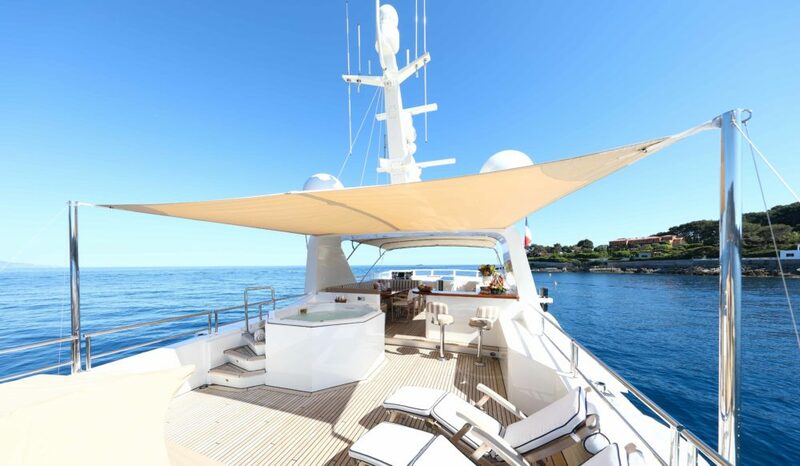 We do have available further amenity, owner and price information for the 30.38m (99' 8") yacht ETOILE D'AZUR, so please enquire for more information.